Paul O’Brien’s Dublin side got their Bord Gais Energy Leinster U21 Championship off to the perfect start this afternoon in O’Moore Park. 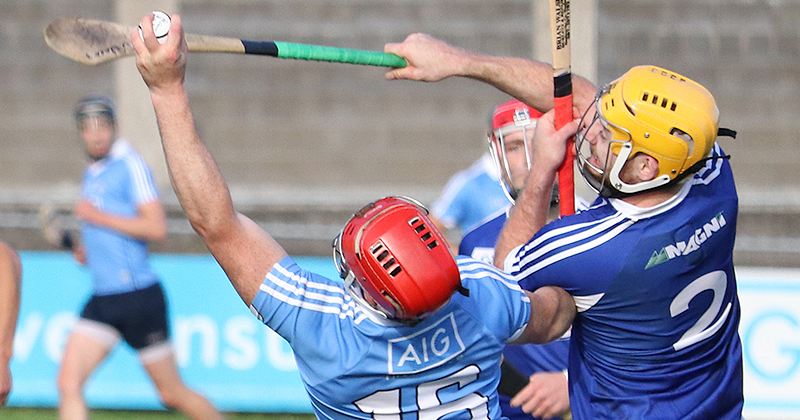 Four goals for Dublin, despite one being sent into the net by Laois’ Frank Flanagan, was the difference between the sides in a great performance. The home side were certainly a match for the Dubs for two thirds of this game but Dublin had done the damage in the first twenty minutes, their pacey style and skill saw them clinically put themselves into a 2-07 to 0-01 lead. Dublin will now play Carlow on June 6th in Round 2 , with the winners taking on Westmeath in the competition’s Quarter Finals on June 13th. Sean Currie led the line today with 3-02 from play, ably assisted in part by his brother Colin, who registered 0-04 himself. Lucan’s Ciaran Dowling also matched Colin’s tally with 0-04 of his own. Sean Currie helped Dublin to the ideal start with goal inside a minute, followed by scores Johnny McGuirk and Colin Currie (2) to get the Dubs firmly in control. By half time Dublin led 2-09 to 1-04, Curries second green flag coming from great build up play by Lee Gannon. Jake Cranny did give Laois a lifeline before the break with the only goal of the afternoon. Laois got the second period going with an early Ciaran Comerford score, but Dowling and Colin Currie were there to respond. By the 57th minute Currie had completed his hat trick of goals, but things would get worse for Laois as Full Back Flanagan mixed up a handpass and the ball trickled into his own net giving Dublin yet another goal.